Features: Regulate Blood Pressure,Blood Sugar Level And Natural Sleep Cycle. 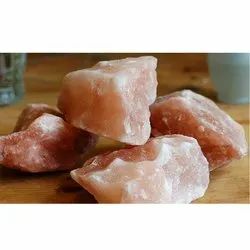 Himalayan Pink Salt contains the same natural 84 trace minerals and elements found in the human body. A few of these minerals include: sodium chloride, sulphate, calcium, potassium and magnesium. - It has a weight reduction property; beneficial for over weight individuals. - It exhibits hepatoprotective action against live injuries. - Detoxifies the body by balancing systemic pH. - Improves hydration by providing trace minerals. - Improves mineral status of the body. - Reduces muscle cramps by improving minerals and hydration. - Helps balance blood sugar.